And I struggle with 440! I wanted to film this properly since I have seen the Hangzhou Light Show last year. This time around I had so much more time on my hands and better camera! Build by the Chinese government to impress the guests of G20 summit in 2016, the Hangzhou Light Show is an amazing 700.000 LED spectacle. The show lasts about 20 min and you can watch it on selected days in the evening hours. 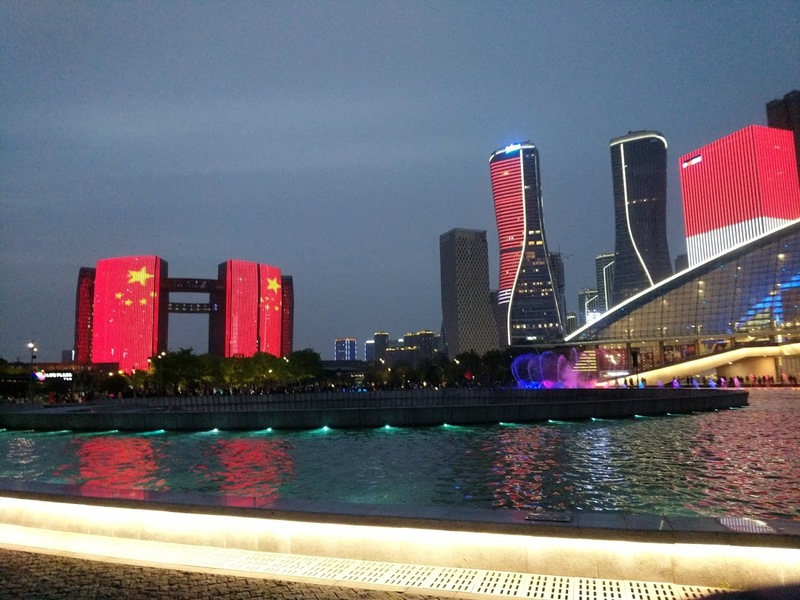 The show covers 30 buildings and spans across several hundred square meters along the bank of the Qiantang River. This massive project has been undertaken by the EXC company from Shenzhen. The same company has been responsible for the Guinness Record-breaking light show in Nanchang. To film the show I had to watch 3 different displays over the course of 2 days. It’s a daunting task for a single person as the show can be seen from multiple locations. The centrepiece is the fountain, which displays a colourful dance of the water synchronised with the music. The Hangzhou Grand Theatre is the spectacular backdrop to this attraction along with the Civic Centre building and 30 other skyscrapers taking the part in the musical. The show can be also admired from the New City Balcony near the river bank, or if you want to have the entire and unobstructed view of the show, from the opposite side of the river. The entire square is built on top of a huge underground shopping centre. There are places to eat, drink and shop. Most of the shops in this area are western. 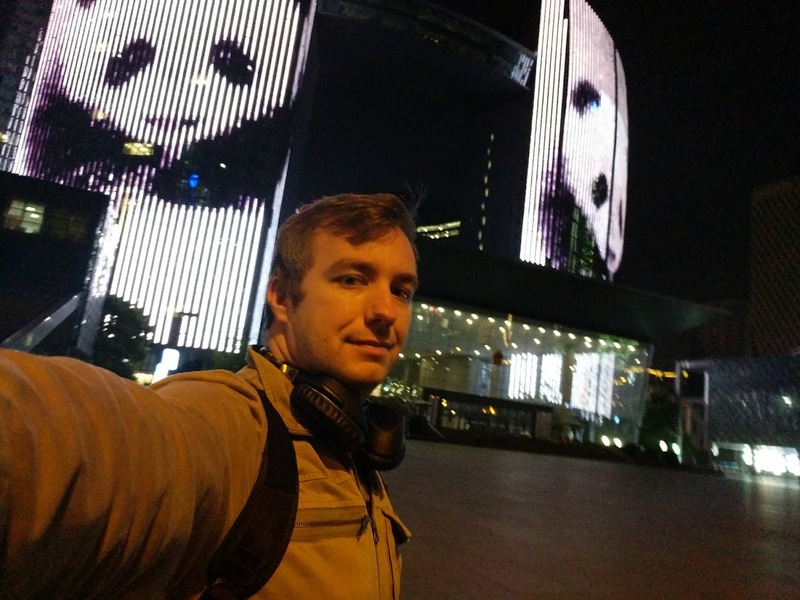 It is hard to grasp the scale of the Hangzhou Light Show from the video and pictures alone. The Civic Center alone is massive. Its design reminds me of buildings that one would find in the Blade Runner universe. I did my best to show you the scale of the show and the spectacular sights to see without spoiling everything. You honestly have to come and see it for yourself to understand how big and mind-blowing the show is. It’s hard to leave this place without the smile on your face. I’m sure I’m going to see another Hangzhou Light Show before I leave China. This time, without the camera. Just be there to enjoy the show.